It is with great sadness that we have learned of the passing of actor Leonard Nimoy today at the age of 83. Best known as Mr. Spock from the Star Trek series, Nimoy garnered a legion of loyal fans throughout his career and his contribution to sci-fi over the last six decades has been immeasurable. 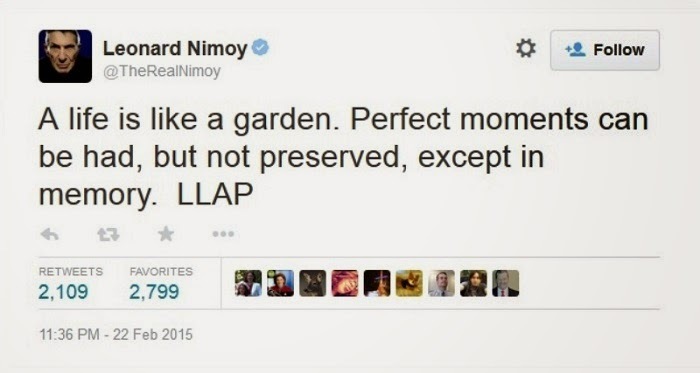 An avid use of social media, we found out that he had been hospitalised over the last few days, but he said his goodbye to us on Monday, with this his final tweet, signed off with LLAP - Live Long And Prosper. Last year it emerged that he had been diagnosed with a respiratory disease that was incurable, and he encouraged people to stop smoking as a result of the impact it had on his life. 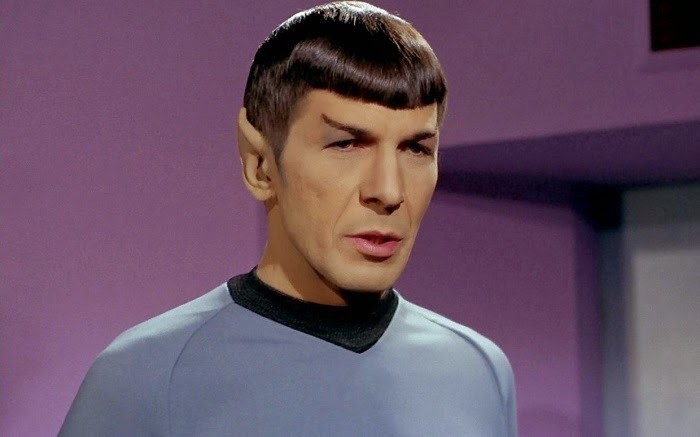 Beginning acting in 1951, and making appearances on everything from Bonanza, The Outer Limits, The Man From U.N.C.L.E and Mission: Impossible, it wasn't until 1966 and his iconic role as the logical, loyal and fiercely intelligent Spock that he got his big break. The Vulcan proved a massive hit with audiences worldwide and Star Trek brought science fiction into the mainstream in a way that hadn't been achieved previously. 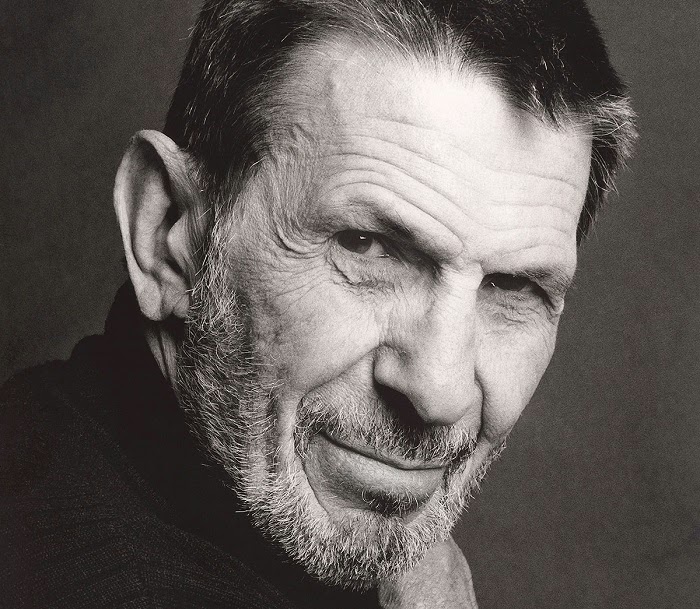 For almost 50 years Nimoy has reprised that role, to great effect in a number of Star Trek series and movies. Though there were other roles later in his career, like that on tv's Fringe, it was Mr. Spock that Nimoy came back to again and again. I honestly can't think of any actor who has had a character endure that long, and with that much success over that length of time, and the influence he has had on pop culture even today resonates deeply with millions of fans around the globe. Leonard Nimoy was an iconic figure in the world of science fiction in the truest sense of the word and he will be missed by not only his family, but by anyone that ever watched a show on tv about the wonders of space travel, and dreamed of something bigger out there among the stars.